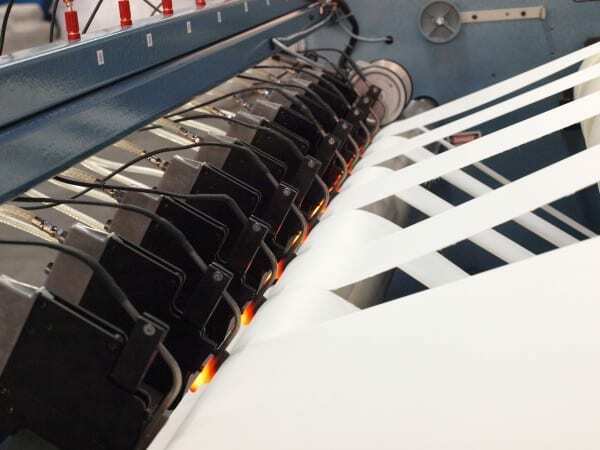 Common Slitting Methods | Pinnacle Converting Equipment, Inc.
Below is a brief rundown of some of the more common slitting methods. Before you enter into purchasing a converting machine, it is best to determine which slitting method is best for your material. Some methods will cause your material to react differently and can cause frayed edges, stretched material, or other issues that are unwanted for the next step of the production process. 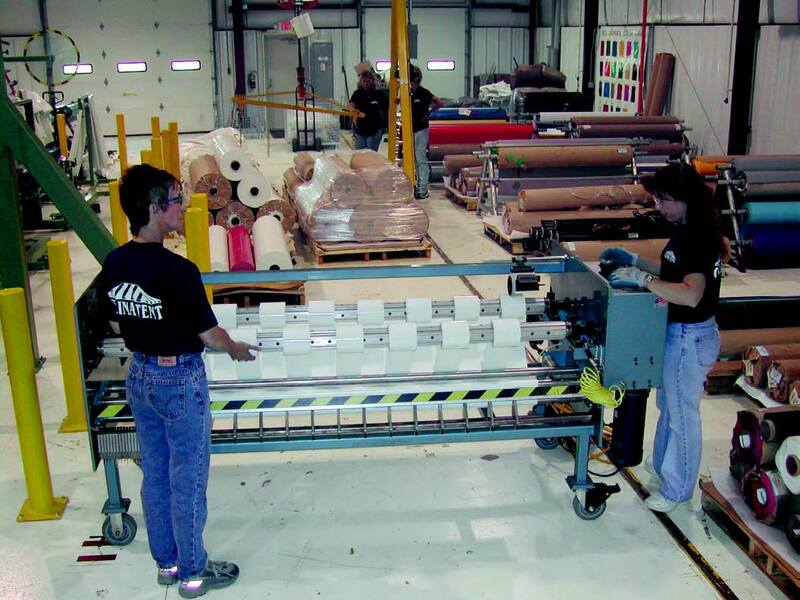 Before starting the purchasing process, feel free to have your material tested here in our facility. Pinnacle Converting highly recommends that you test the material BEFORE getting involved in the quoting process. Contact us today to schedule a free material test on our in-house converting machines. Razor Slitting: One of the most popular methods of slitting, this method utilizes a razor blade to cut material. The material is unwound from the roll, passes over the razor(s) and is cut, and gets re-wound onto the child cores. Razor slitting is frequently used to slit materials ranging from wovens to non-wovens like plastics or films. Shear Slitting: Male and female circular knives are utilized to provide a cut that is similar to the same effect as scissors. This system is used widely on paper, films, foils and other no-woven materials. Score Slitting: Also known as “crush cut slitting.” A knife is pressed and runs against a hardened anvil shaft essentially crushing the material. The system works well with hundreds of materials materials including non-wovens. Ultrasonic Slitting: Utilizing a high frequency horn, ultrasonic slitting provides a clean edge that prevents unraveling of the material. Unlike Hot Knife Slitting, this method also provides a tapered slit that will not cause beading along the edge that could create a bulking along the edge as it is wound back onto it’s core. Laser Slitting/Sheeting: Material is either melted, burned, or is vaporized away. The result is a high quality edge and finish. Typically, laser cutting is used for converting rolled materials into sheets. Hot Knife Slitting: Material passes across a blade that has been heated to a given temperature dependent on what the material is made of. This method of slitting is most popular where the preferred outcome are rolls where the material has a sealed edge that prevents fraying. If you’d like to determine which slitting method would better benefit your material or manufacturing process, contact our sales staff to schedule a test of your material running on one of our in-house machines. Below is a quick an easy table describing some of the characteristics and uses for more commonly used slitting methods. This table is a guideline and can differ depending on the different materials being cut. As always, we recommend that you conduct tests and research to know the best method for slitting your material. Is Graphene Slitting in the Future?